I travel. I play. I develop. One small step :: Vietnam! Just started third year of my wandering life. I travel around Southeast Asia. I have been to Cambodia, Laos, Malaysia, the Philippines. I visited Hong Kong. I wasn’t allowed to go to Taiwan, lol, actually not lol. I came back to Thailand about five times. I stopped blogging. But I didn’t stop to play video games. I got divorced. I finally left Thailand. 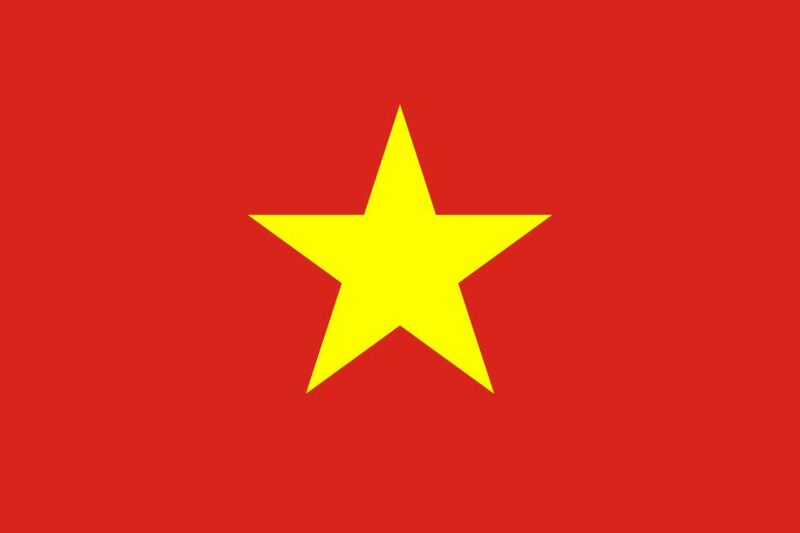 And now I have a new love – Vietnam! So this is my small step to Vietnam. When I write about traveling I always want to compare something to another thing. Dunno why. I didn’t feel good to compare my experience with living in Russia. And it is not correct. Maybe not even politically correct. But now I have Thailand. I stayed there about a year, counting all visits. I have seen things there. And I would compare with Thailand. A killer feature of Thailand is a smile. You go out and you see people smiling to you. You catch someone looking on you in the bus and they smile. And there is a similar feature in Vietnam. 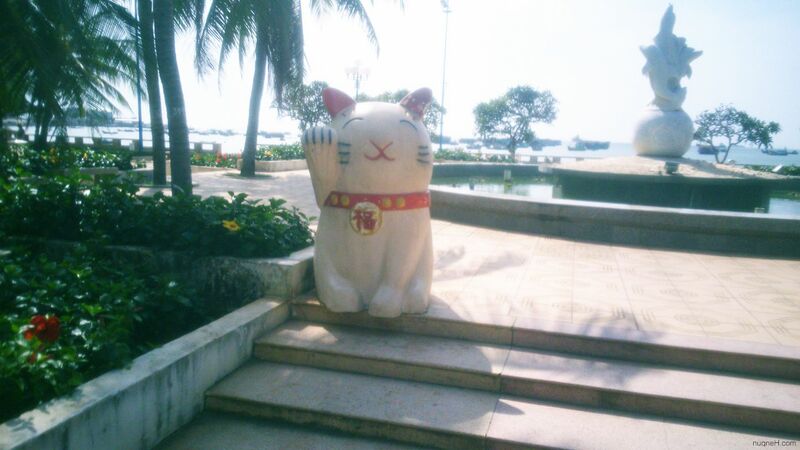 Vietnamese do not just smile, they also greet you and sometimes even saluting you. Sometimes in vietnamese: Xin chào, sometimes just Hello. They greet you quite freely, from their heart. Young guys and old alike. At the very beginning, right after I landed, I was caught in the city bus by little vietnamese boy, about seven years old. Hello! – he said and started to stare. Hello! – I responded. He started to smile and was happy. He said Hello to white person. And white person finally built a habit to respond Hi to Hello. Thanks for children of Vietnam. Passers-by and security guys often greet. Once I bought water from a street vendor and there was a security around. He guarded the market or currency exchanger or maybe a massage salon. He greeted me, asked where I came from, and then he said You are handsome man! Yeah!. He pat my shoulder and went back to his chair. Vietnamese students are extremely talkative. There is a park Công viên 23 Tháng 9 at the heart of Ho Chi Minh City, McDonald’s and backpackers area across the street. This park is full of schoolboys or students during the day. They come to practice English skills, to have conversations with foreigners. 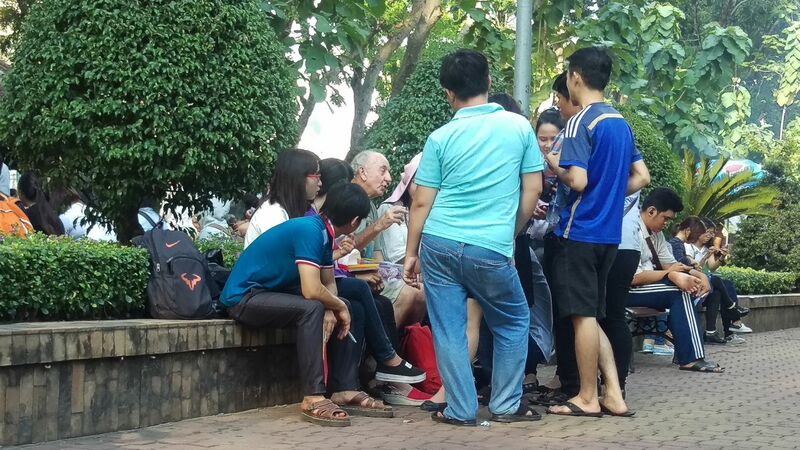 So if you sit there on the bench you will find yourself crowded by twenty persons with notepads in half an hour. But even if you walk they will catch you and sit you down. I was involved to this with my bro once. We sat there about four hours until we could talk. And later in the evening we saw a tgirl at the same park.